The 22nd Day of Judaism in the Catholic Church in Poland was celebrated on January 17, under the motto: I will not come in wrath (Hos 11:9). The main celebrations took place in Lodz. “There are many points of contact between Judaism and the Catholic Church, which is why bringing the richness that is contained in Judaism every year has its deep meaning,” wrote Bishop Rafal Markowski, chairman of the Council for Religious Dialogue of the Polish Episcopate and the Committee for Dialogue with Judaism. The organizers of the central celebration of the 22nd Day of Judaism in the Catholic Church in Poland were the Archdiocese of Lodz and the Jewish Religious Community in Lodz. 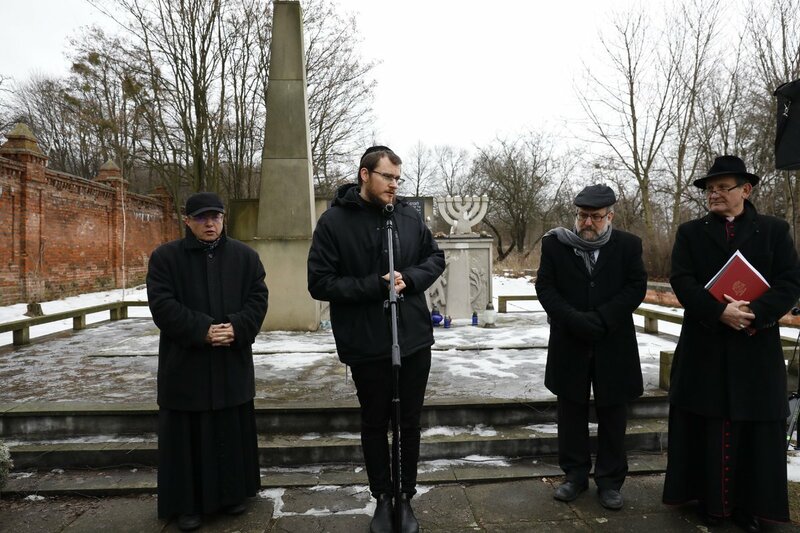 They began with a prayer at the Jewish Cemetery in Lodz. Then, in the Dialogue Center, there was a symposium devoted to reading the Torah and the Bible, as well as the common everyday life of Jews and Christians. The celebrations ended with the Central Service of the Word of God in the Old Market Square, near the site of the Alte Szil Synagogue. “We must be close to each other, we must meet together before God and together pray for unity and for peace in the world” – said Archbishop Grzegorz Rys, Metropolitan of Lodz. The Day of Judaism in the Catholic Church in Poland was established by the Polish Episcopate in 1997 and has been celebrated since 1998. Its aim is to develop Christian-Jewish dialogue, as well as prayer and reflection on the relationships of both religions.